A Disney-type displacement will ‘be impossible’ with these visa reforms, administration officials believe. President Donald Trump will sign an executive order Tuesday dubbed "Buy American, Hire American" that calls for sweeping reform of the H-1B visa process. "We want to switch away from a random lottery system, in which it's weighted toward the lowest wage workers, towards a system that prioritizes higher skilled, higher paid workers," said a senior administration official, in a background briefing to reporters on the condition that officials not be identified. Such an H-1B reform "would make it much more difficult to use it to replace American workers," the administration official said. With this order Trump makes his H-1B reform effort official, but the changes that the administration wants will take time. The White House intends to follow a two-pronged approach to H-1B reform. It will make administrative actions as it works with lawmakers on reform bills. But it's unclear how many changes it can make administratively, and how much cooperation it can expect from Congress. Many lawmakers support reform, but there are differences in approaches. Trump has been telegraphing these visa changes for a while. He was critical of the H-1B program during his election. Disney IT workers, who had trained H-1B holding replacements, spoke at some of his rallies, and the idea that the visa program is being being abused was major theme for Trump. "An abuse of the H-1B visa program is to bring in a worker -- not because you need their skills or talent -- but for the purpose of undercutting an American worker," said an administrative official, who cited Government Accountability Official data that found about 80% of H-1B workers are paid below median wages. Trump is expected to sign the executive order as part of visit to Snap-On Tools in Milwaukee. The "buy American" part of the order will affect government contracting. There are asterisks, as well as criticism, about this White House H-1B reform effort. 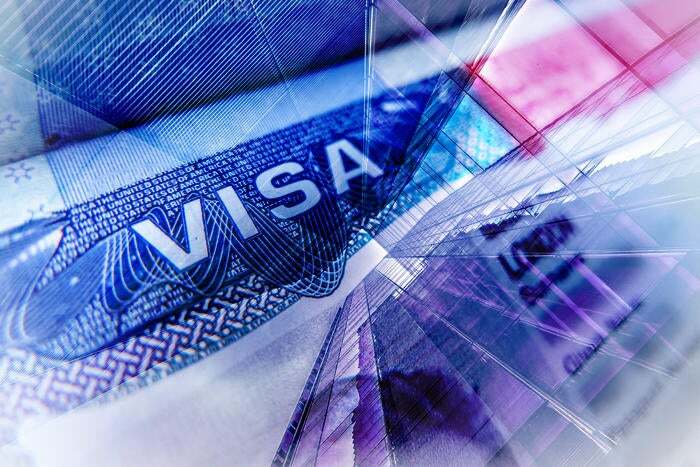 The White House order has no impact on the most recent visa lottery, and that means many of this year's visas will go to IT offshore outsourcing companies. That's a major sore point with critics. "Countless thousands of American workers are likely to be training their replacements as a result of Congress and the Trump administration not taking action," said Ron Hira, an associate professor of public policy at Howard University. The IEEE-USA had urged Trump to change the visa lottery in time for April 1, and was disappointed that he had not. The next visa lottery will be April 1, 2018 for the federal fiscal year 2019. With this new Trump order, the administration will muster key agencies to make an administrative review and propose reforms. It will also review its legal authority to make changes. An administrative official on the briefing said they believe it's possible to improve wages administratively as well as increase some application fees. There will be many questions. What kind of reform in wage tiers can be expected, and what academic credentials, or skills, will win favor in a new system? The administrative official briefing reporters on the H-1B reform was asked about the Disney displacement, and whether the goal was to prevent similar instances. He said that the reforms that they have in mind "would have the effect of making that kind of displacement impossible."